This heavy duty flush door has a sleek look and strength to last many years. The aluminum skin on the outer layer is reinforced by a hardboard backing plate that helps resist dents. A dense foam core adds insulation as well as overall impact strength. Door leafs are 1 3/4” thick and have a minimum .125” wall thickness. The 160 series flush aluminum door accommodates all major brands of continuous hinges and rim panic exit devices. It is now available with a recessed pull handle. Glass inserts provide a variety of arrangements accepting 1/4” and 1” glazing. 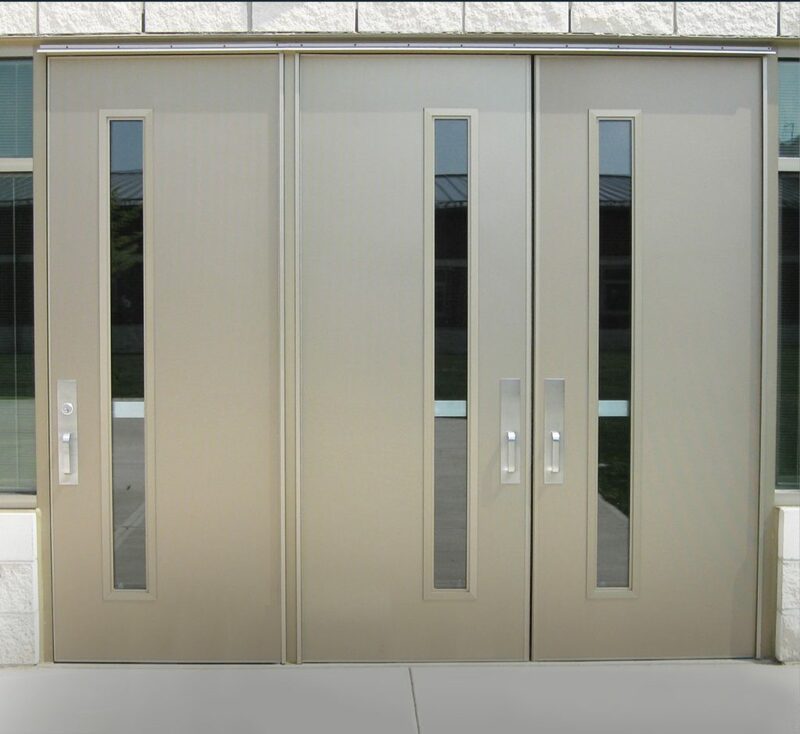 Multiple configurations make this door a choice for all entrance applications.